The new Honda Accord is scheduled to be launched within the next couple of months and it is going to be about 10% more fuel-efficient than its current model. Honda will have its debut for ‘Earth Dreams‘ range of fuel efficient and eco-friendly vehicles in the US market in 2013. The new engines will be available only in the new Accord as of now by with time Honda will use them in rest of the models with little bit displacements. The range of ‘Earth Dreams‘ has a 2.4 liters, 4-cylinder engine and it has a V6, 3.5 liter unit. For its US market, the 4-cylinder model will have an all-new CVT gearbox and the powerful V6 model will have 6-speed automatic gearbox. These new engines will have 10 % more fuel efficiency than the current models. 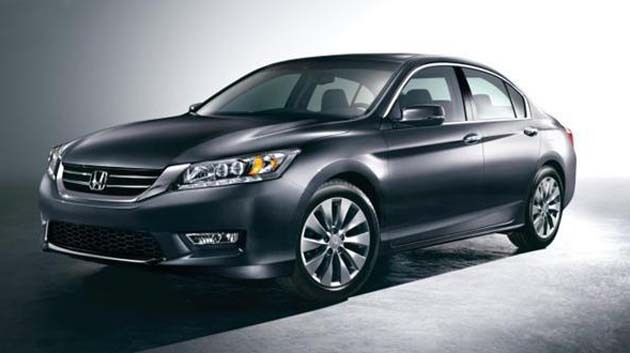 The Honda Accord will be launched in North America within few months and then into the European market. As the US specification of the Accord is similar to the one that is marketed in India, we are eager to know what Honda has in its pocket for the Indian Auto market.